A New Leash on Life, Inc. is an Oklahoma-based organization that changes people’s lives by developing the special abilities of Service Dogs, Therapy Dogs and rescued pets. Each year we host a sanctioned 5k run and a 3k dog jog to help financially support our organization. 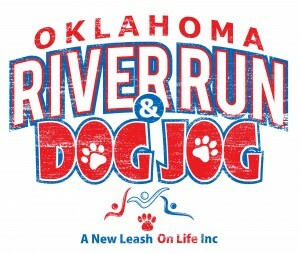 9 am - 3K Dog Jog For runners or walkers with or without dogs. All dogs must be leashed and have current rabies vaccinations. Children 12 and under with a registered adult may participate free in the Dog Jog. Registration Fee includes T-shirt while supplies last.